Skip-1971, in Tyler, TX has 2 daughters, Micah-20 and Helen-13. Jeff-1973, More…in Corinth, TX has 2 daughters Brittney-20 & Leah 6 yrs old. Danny-1978, lives in Texarkana, Tx. Michael-1980, in New Boston, Tx 4 sons, Colby-15, Jacob-13, Caleb-7 and Jace 4 . The biggest accomplishment and most important thing I have done since 1970 is being Mom to our 4 sons Skip, Jeff, Danny & Michael and then now being a grandmother to Brittney, Micah, Helen, Colby, Jacob, Caleb, Leah and Jace. Grandkids are the greatest! We left Mississippi in 1977 and moved to Tyler, Tx for 14 years and then transferred to Texarkana, Tx in 1991. I worked in the medical field and was a Medical Administrator for over 20 years mainly in Pulmonary, Critical Care and Sleep Medicine. I retired in 2013. I also taught Medical Assistance and Medical Billing at the college in Texarkana for a couple of years. In June 2020 my husband Tommy Parkerson(class of 68) and I will celebrate our 50th anniversary. We love to travel and love to cruise. 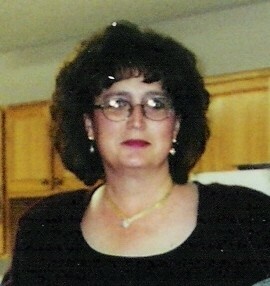 Anita Long Parkerson updated profile. View. Anita Long Parkerson has a birthday today.